Forest Hill Capital Management is a fund managed by Mark Lee with current portfolio of $979 million, as per their 13F SEC filing. Forest Hill Capital has its primary focus in the financial industry with Sandy Spring Bancorp Inc. (NASDAQ:SASR), Regions Financial Corp (NYSE:RF), and UMB Financial Corporation (NASDAQ:UMBF) being its top holdings. (See complete list of Forest Hill Capital holdings here). Sandy Spring Bancorp Inc. (NASDAQ:SASR) is the top investment of Forest Hill Capital with investments worth $44 million and the fund owns 1,790,235 shares of the company. 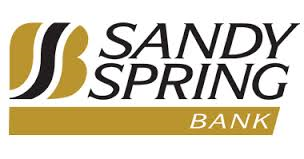 Sandy Spring Bancorp Inc. (NASDAQ:SASR) reported net income of $7 million for the second quarter 2014 with $4.2 billion in total assets. Some of the major investors in Sandy Spring Bancorp Inc. (NASDAQ:SASR) include Forest Hill Management followed by Renaissance Technologies ($2.7 million) and Bryn Mawr Capital ($2.2 million). Regions Financial Corp (NYSE:RF) comes at number two in terms of investments made by Forest Hill Capital, which owns 4,107,420 shares of the company with market value of $43 million. Regions Financial Corp (NYSE:RF) announced net revenue of 1.2 billion for the second quarter 2014 with $837 million in net interest income of the quarter. Citadel Investment Group is the primary investor in Regions Financial Corp (NYSE:RF) with investments worth $106 million followed by Pzena Investment Management ($66 million) and Arrowstreet Capital ($60 million). Forest Hill Capital has investments worth $42 million UMB Financial Corporation (NASDAQ:UMBF) with 672,672 shares of the company. UMB Financial Corporation (NASDAQ:UMBF) released net earnings of $34.7 million for the second quarter 2014 with total assets reaching $43.7 billion. Forest Hill Capital is the largest investor in UMB Financial Corporation (NASDAQ:UMBF) followed by Fisher Asset Management investing $38 million and Third Avenue Management with investments worth $30 million.